Armenian author and book publicist Lucine Kasbarian reflects on her experience explaining her culture to others, through writing, publishing, and book fairs. In his essay, “Where Word-of-Mouth Reigns,” Ed Nawotka suggests that face-to-face interactions at book conventions are an unrivaled way to mix business with pleasure in an industry we love. I can attest to this, having attended many in my capacity as an in-house publicist for several book publishing companies. When it comes to networking, discovering new talent, examining industry trends, rekindling friendships or planting the seeds for future collaborations, nothing else offers the same impact or pleasure. As a result of widespread massacre and outright genocide in the 19th and 20th centuries, Armenians driven from their homeland had to start their lives anew. Later on, they felt the need to introduce their lost homeland to their fellow citizens in their adopted countries. My unintended career as a goodwill ambassador for Armenia began when, at the age of six, I decided to explain my heritage to my peers. Donning a traditional costume and performing folk dances, I answered questions about Armenia for my American classmates – a practice which persisted throughout elementary school. During high school and college, I operated Armenian cultural booths at ethnic festivals and helped our local school system add “The Armenian Question” to our established genocide curriculum. Alas, this ambassadorial inclination developed yet further when I began writing and publishing books about the land and culture of my ancestors. Growing up in the 1970s and 80s, many maps of the world did not outline Armenia and could have led readers to think that it did not exist. “Armenia” had been a Soviet state from 1920 up until 1991 but individual Soviet states were not always identified on maps. The Iron Curtain (and life before the Internet) prevented people living outside the Soviet Union from having contact with or even reading very much about the many peoples and cultures within it. “Western Armenia” was forcibly absorbed into Turkey, where the few Armenians who remain struggle with persecution and discrimination. 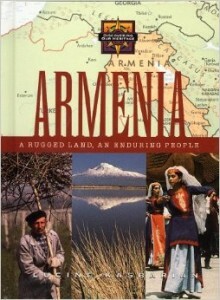 As a result, not much literary information about Western Armenia was available to the public. 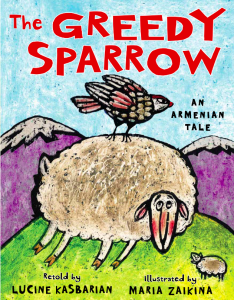 In becoming a writer, I wanted young people to have simply written stories about Armenia and its people – in English and for young readers of Armenian and other ancestries. So imagine my gratitude when, in 2013, the Armenian community of London, in cooperation with generous benefactors, secured funds to sponsor the first-ever Armenian Pavilion to present literary offerings about our ancient nation to the publishing world-at-large at LBF. The goodwill ambassador and book publicist in me were thrilled. When I learned that my own books were to be included at the 2014 Pavilion, the author in me was very happy, too. The Armenian Pavilion serves as a literary embassy of sorts, where books about nearly every aspect of the Armenian identity can commingle to give uninitiated publishers, librarians, booksellers, agents and others a slice of a country and people that are still largely overlooked or misrepresented. It was particularly rewarding to know that the Pavilion included “1st Armenian Literary Agency,” who shopped around manuscripts by today’s up-and-coming authors of Armenia. In future years, my wish is to see Armenian communities in the United States sponsor an Armenian Pavilion at Book Expo America, and which will showcase of some of Armenia’s greatest literature of yore – still unknown to the world – in English translation. I was unable to attend this year’s LBF. But the Pavilion organizers reported that visitors pored through the offerings written by some of our global Armenian nation’s best historians, academics and journalists. I am told that one such visitor to the stand was a woman of Turkish descent who spent a great deal of time perusing my book about Armenia. Concurrent to LBF, the Turkish government’s latest round of media censorship was becoming known to the world. As such, I could not help but reflect on how – even as we now approach the 100th anniversary of the Turkish Genocide of the Armenians, Assyrians and Hellenes – the official state narrative taught in Turkish schools about ancient and modern Turkish history does not reflect the historic reality. It was gratifying, therefore, to know that this Turkish visitor could avail herself of information not otherwise easily available to her. If quenching a thirst for knowledge can help such individuals be in a future position to usher in an age of restoration to those afflicted by the Genocide, then what better time is there for Armenians to represent their civilization and present their case to the world than with their own Literary Pavilion? 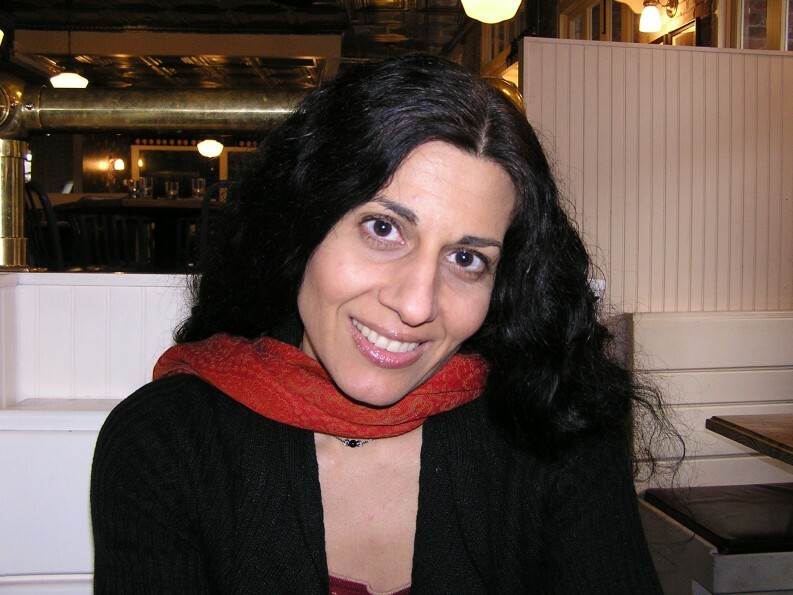 Lucine Kasbarian is an Armenian-American author, editorial cartoonist and book publicist on extended leave. She and her husband, writer David Boyajian, live and work in Massachusetts and New Jersey. Visit her at: www.lucinekasbarian.com.